Once a family doctor who prided herself on providing her patients with birth-to-death healthcare, Canadian writer Jan O’Hara has left medicine behind and now spends her days torturing people on paper. She writes for the popular blog, Writer Unboxed and lives in Alberta, Canada with her husband and two children. And today I’m interviewing her about her first novel, Opposite of Frozen, which has just been released and which is part of a unique and most intriguing series, the Thurston Hotel Books. 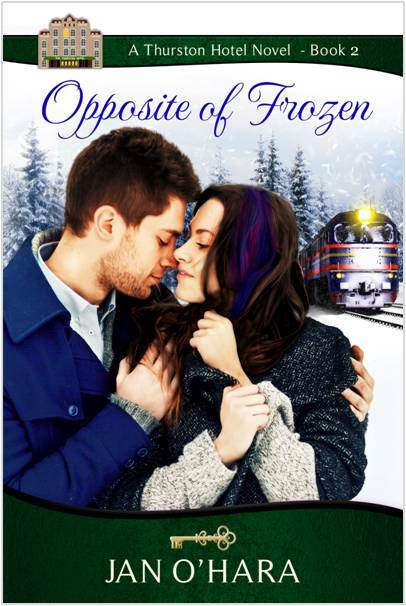 First of all, Jan, congratulations on the release of your novel, Opposite of Frozen! It’s the second in a unique, multi-author series. Can you tell us about that? How did it come about? And how did it develop? Thank you for having me, Sophie. I’m honored. My local chapter of the Romance Writers of America (https://www.calgaryrwa.com/) has a reputation for facilitating independent publishing and hybrid careers within its membership. In December of 2015, word went out that our treasurer, Brenda Sinclair, was looking to launch a group project, for which she had a very clear vision. I was interested because Brenda had participated in a similar project before, and had internalized many of the lessons learned during that time. Also, romance is a digital-friendly genre, and I was leaning toward independent publishing. Accordingly, in a somewhat cloak-and-daggerish moment, the interested parties met secretly in a Calgary restaurant. 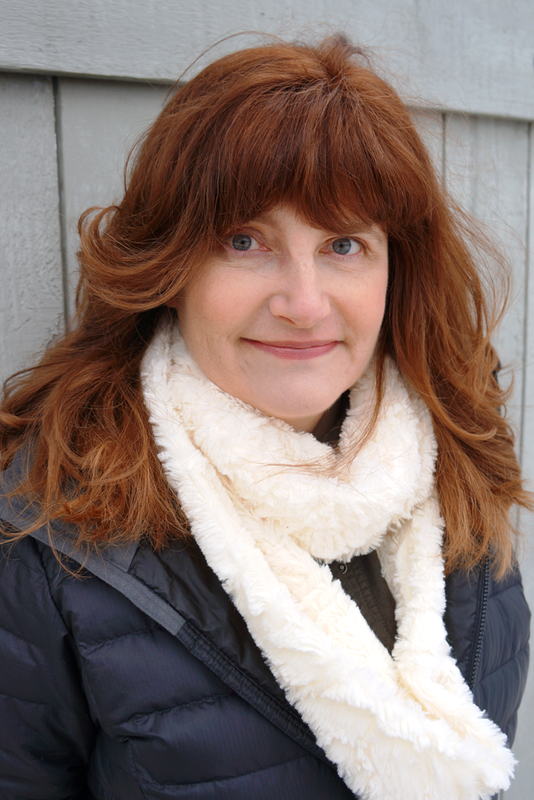 Brenda loosely outlined the series idea: 12 standalone contemporary romances set in a fictitious town in the Alberta Rockies, revolving around the Thurston Hotel, its employees and long-term residents. Each author would take ownership of one month in the town’s life to tell their story. In addition to writing our own story arc, each book would tell a portion of a long-running series romance. Brenda had already begun construction of a series bible—which she maintained throughout the entirety of the project. She had thought through the project deadlines, the cover artist, and the series editor. Her level of professionalism was vastly reassuring to this writer! When all was said and done, 11 authors signed on, and Brenda, herself, agreed to write the first and last installments in the series. Writing as part of such a unique series must have presented its own unique challenges! Tell us about how you constructed your story. And did the writing of your novel differ to other fictions you’ve written? Though I have been writing a long time, I have never completed a piece of long-form fiction to what I consider publishable standards. As you might imagine, I was nervous about my abilities to do so while adapting my story to the requirements of 10 other writers. So from the first, I looked for a way to keep my story somewhat self-contained within the Thurston world. I wanted to limit the number of moving parts. Happily, those constraints ended up creating some of the story elements of which I’m most proud. For example, I needed a tour group to populate the bus, and who would most logically have the time for a prolonged multinational tour, but seniors? (I so enjoyed writing my seniors!) What unexpected event could complicate their February trip, but a hypothermic stowaway? What elements about the seniors’ lives could bring my co-protagonists together, and facilitate their healing? Etc. I must say, it was thrilling and confidence-inducing to see how my brain could come up with story ideas to match the project’s requirements. Also, I was dealing with time constraints and a gargantuan case of the Impostor Syndrome. Without a commitment to the other writers in the group, I’m not sure I’d have pushed through to completion. I do know OoF would not exist in its present form if not for the project’s boundaries and invitations. The books are all set in the same town, although around different stories and characters. 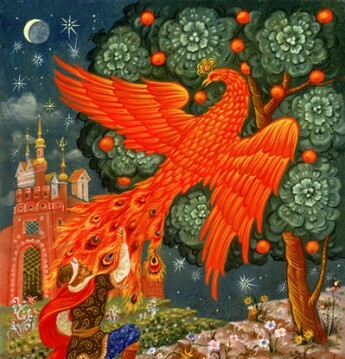 How did you all plan the background of the books–and will that evolve over time, or will you all keep to the same basic framework? Between our first and second in-person meeting, each author wrote a story synopsis and shared it with the group, via private Facebook page. We also found avatars for our characters and constructed one-sheets, when applicable, so that other authors could use our characters in cameo appearances without much difficulty. For more intensive cross-pollination, when using another writer’s characters, we sent relevant passages to one another, to ensure we weren’t violating a character’s personality or mannerisms. The same held true for micro-environments. For example, I borrowed Ellen Jorgy’ creation—a bar known as the Wobbly Dog—for several scenes in my book. We made a good many decisions together, in-person, like the décor of the hotel, the final design of the cover art, the name of the town. Other decisions were made individually, and then coordinated with the group via Facebook. For instance, I needed a store that sold computers, so I constructed the Tech and Tock, and invented its proprietors. One of the series continuity editors, Suzanne Stengl, then added it to the map of the town, which she maintained throughout the project. I should mention that various authors contributed their skillset to make the project work on the whole. Win Day, for instance, used her technical background to construct the Thurston Hotel Books website. Sheila Seabrook helped with formatting issues. Everyone helped with title selection. Do authors in the group have input into each other other’s stories? Who edits the novels? Beyond the planning I’ve mentioned, the group also benefited from the hard work of two continuity editors: Brenda Sinclair, who wore about five hats during this project, and Suzanne Stengl. They both read my book for continuity errors. Twice. Then we all used the same editor, Ted Williams, for a final appraisal. He used the series bible for guidance and reportedly enjoyed seeing how Harmony came to life within different stories, told by different voices. Tell us about the publication journey for the series. Will the books be available internationally? We intend to put out a print version of the series in the near future. At present, the books are available exclusively in ebook via Amazon and the Kindle Lending Library, wherever Amazon exists. Shepherd fifty-one seniors on a multinational bus tour, including a ninety-five-year-old with a lethal cane? To preserve his sick brother’s travel business, retired pro athlete, Oliver Pike, would do far more. But then weather intervenes, forcing the tour bus off-route into the small mountain town of Harmony, Alberta. In the hold of the bus, amid the walkers and luggage, lies a half-frozen stowaway. Page Maddux is commitment-averse and obviously lacking in common sense. Once revived, she’s also the person Oliver must depend upon to help him keep the “oldsters,” as she calls them, out of harm’s way. When their week together is over, will Harmony recovery from the group’s escapades? And what of Oliver’s heart? I just wanted to thank you for hosting me/us for the interview, Sophie. Done properly, an author’s cooperative can be empowering, cost-effective, and a great experience. I’m grateful to have participated in one! Thank you for doing the interview,Jan! Love the interview and so glad to see Jan’s writing out in print! As soon as I finish my slog through Alexander Hamilton I plan to start Opposite of Frozen! That’ll be quite a switch in tone, Deborah. Hee. Hope your case of whiplash isn’t too bad. Thank you for stopping by, lady. Always nice to see you.